If Oz was a wine what wine would he be? Red I think. Certainly not a passing Beaujolais as he has stood the test of time. Not a stuffy austere grand old Claret that is difficult to get to know. But perhaps an Italian red from Montepulciano –plenty of experience, unique and very acceptable in large measures. I do wonder whether Mr Clarke’s new book should not be entitled an “Unquenchable Thirst for Life” such is the varied and extensive career of one of the nation’s favourite experts in wine. It’s perhaps long forgotten that Oz starred in the West End as an actor for many years in such performances as The Mitford Girls and even as General Peron in Evita before becoming a household name on our television screens. We have to flash back to the early 1980s when television programmes were different. Top Gear was all about the practicalities of car ownership in those days and similarly Oz arrived on our screens with very practical advice on wine in the BBC’s Food and Drink programme. The show stayed on our screens for 17 years, cementing the country’s then growing love affair with wine supported of course by the animated Jilly Goolden who Oz describes as “batty” as well as “charismatic”. In this new book, Oz takes us through his early life, his TV role as hen-pecked husband to Jilly and of course his love of the grape. There is a bit of everything in this book, part autobiographical, it is informative about wine production and also provides something of a guide to the producing countries and grape varieties. There are many books written about wine but importantly this book is all about enjoying it. Not to be missed are the sections; how to get banned from the Champagne region, what it is like to bath naked in wine and advice on whether red wine can discolour your tongue permanently. 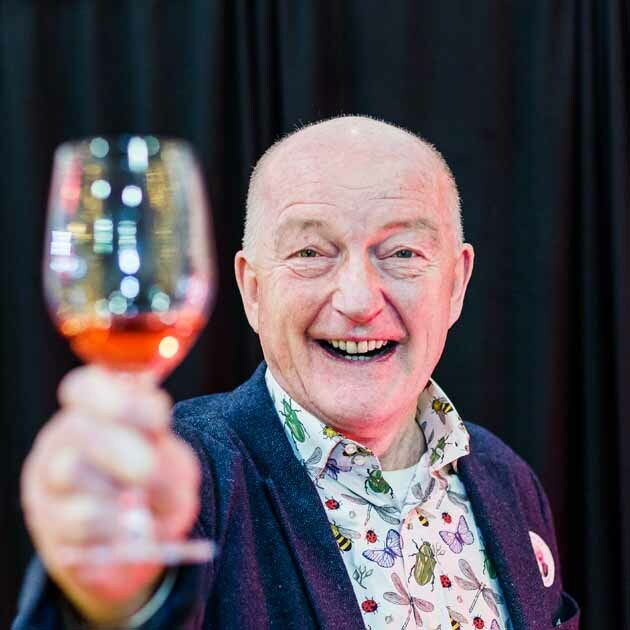 To book tickets to see Oz Clarke live in Harrogate – 7pm on Sunday 21st October – click here on call the Box Office on 01423 562303.